This research highlights leading companies with exceptional records of client success. 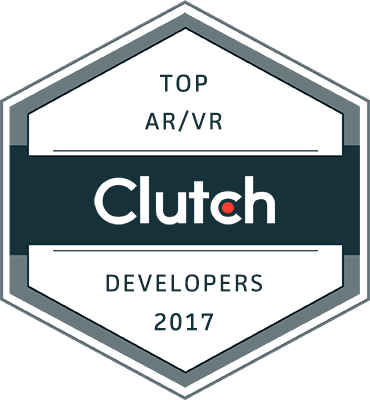 WASHINGTON, June 28, 2017 – Clutch has published new research on the top developers in virtual and augmented reality worldwide. The research conducted is based on Clutch’s methodology which examines virtual and augmented reality developers’ proven success delivering reliable, high-quality results to their clients. NEXT/NOW™, hedgehog lab, Program-Ace, NotionTheory, Fishermen Labs, Corporation Pop, Gramercy Tech, Live Typing, VEAR EXPERIENCE, Blue Label Labs, BidOn Games Studio, Sutter Group, Eden Agency, Hyperflow Labs, and Mindgrub. In Clutch’s research process, analysts evaluate many quantitative and qualitative factors. These featured companies have been distinguished based on industry recognition, market presence, and ability to deliver results to clients, proven by in-depth interviews with current and past clients. This comprehensive approach is designed to give buyers an honest and thorough understanding of what the service providers can do and how they perform throughout the project. Identifying leading virtual and augmented reality developers is part of a continuing effort by Clutch, and companies with a demonstrated history of outstanding client service are encouraged to apply for inclusion in future research.